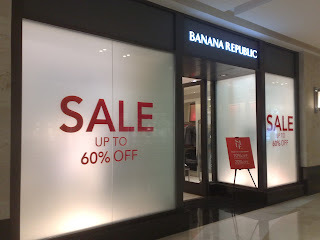 All the glass window of Banana Republic store looked frosted and not see through. The only things can be seen are the words that spelled 'SALE UP TO 60%'. 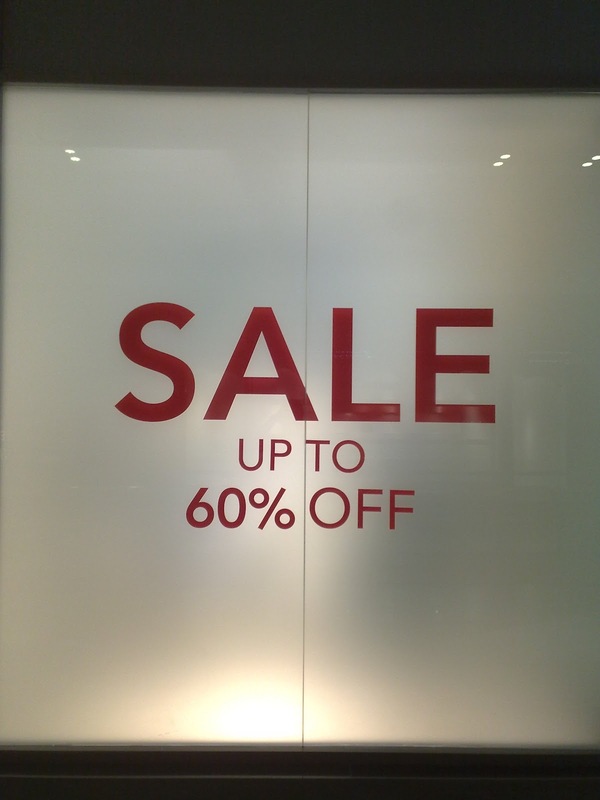 Very simple idea to promote the sale yet very attractive.